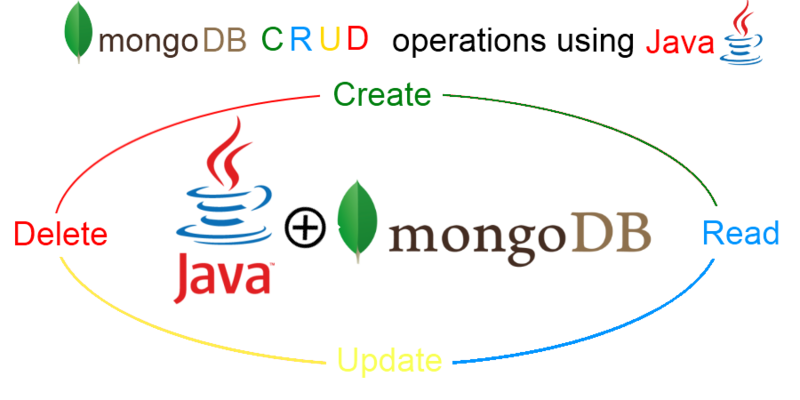 This tutorial will help you to perform CRUD operation on MongoDB records using Java. If you unfamiliar with MongoDB then please visit Getting Started With MongoDB tutorial. To begin with this tutorial we will create Person and Person Images table (collection in MongoDB) to simplify the MongoDB CRUD operations. In later tutorial posts we will use these data structures and their records for building interactive image gallery and search engine system. This will create Java project including Maven. Why we need Maven? Maven is not necessary, but by using Maven we can avoid installation of external library like MongoDB java library. Maven helps to include library and its version, which reduces time and efforts. There are three method to get MongoDb client, one without any contractor parameters, or others with server address or port number. If “zainabed” database is not present in MongoDB then it get created otherwise it get selected. It will print all database names presents in MongoDB. Collection acts as Table (RDBMS), in this tutorial it will be Person and Person Images. above code will select the collection or if it does not exist then create it. BasicDBObject is used to create a row object which get inserted into collection. Following code inserts a row into Person collection. Now we will insert a record inside Person Image collection. After this we create person image BasicDBobject. To find single record from given collection we use find() method of collection object. It will print single result object. To fetch all person records we use find() method of collection and DBCursor to iterate each person records. Here we specify condition object with field and value to filter that column. To update record we use update method of collection object. Update method requires two objects, one to filter out targeted row and other to update particular column's value. To delete a record from collection we use remove() method of collection. It requires query object to filter rows that we need to delete.